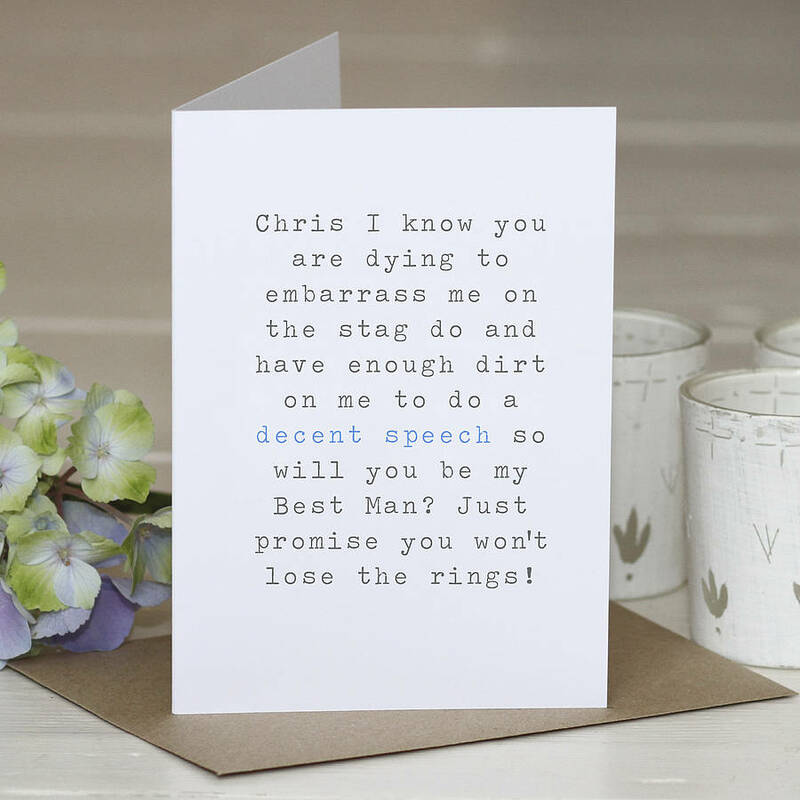 Our personalised 'Be My Best Man' card is the perfect way to ask your best mate or brother to support you on the big day! 'decent speech' is picked out in blue so it pops off the page to add a bit of pressure. This card will become a lovely keepsake from your wedding. We have left this card blank inside for your own message. This card will be personalised with your Best Man's name, please leave details when ordering. We use matt bright white 300gsm card and ribbed brown envelopes. The card and envelope are packaged in a clear poly bag to keep them safe and clean.